Good evening everyone! I hope you are all having a wonderful Friday! 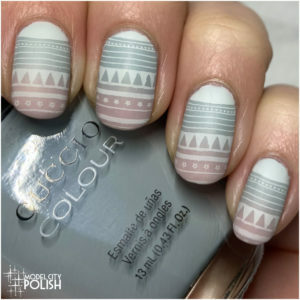 Tonight I have a late, but fun mani to share with you guys. 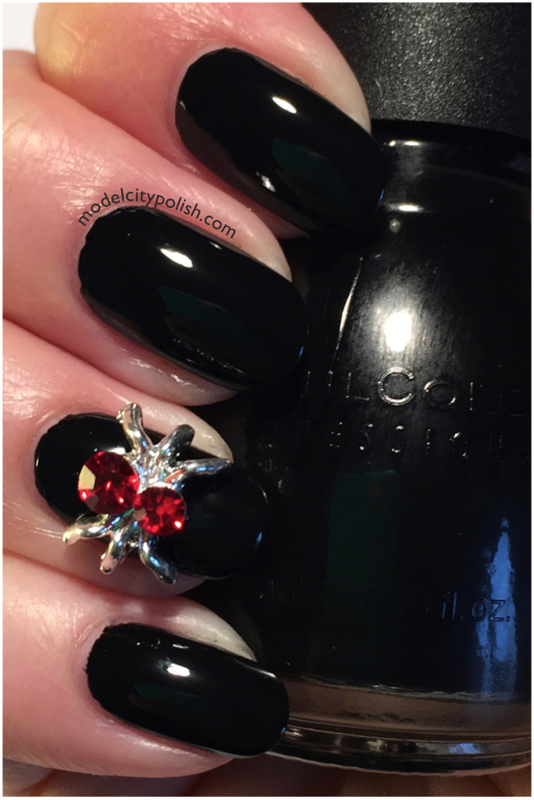 Back in September when I was approached to review for Born Pretty I had picked out this super cute rhinestone spider that I thought would be just perfect for Halloween but as luck would have it, I didn’t have it in time for my annual spiderweb nails. Instead I have decide to share a simple but very black widow like manicure with you instead of my webbed nails. 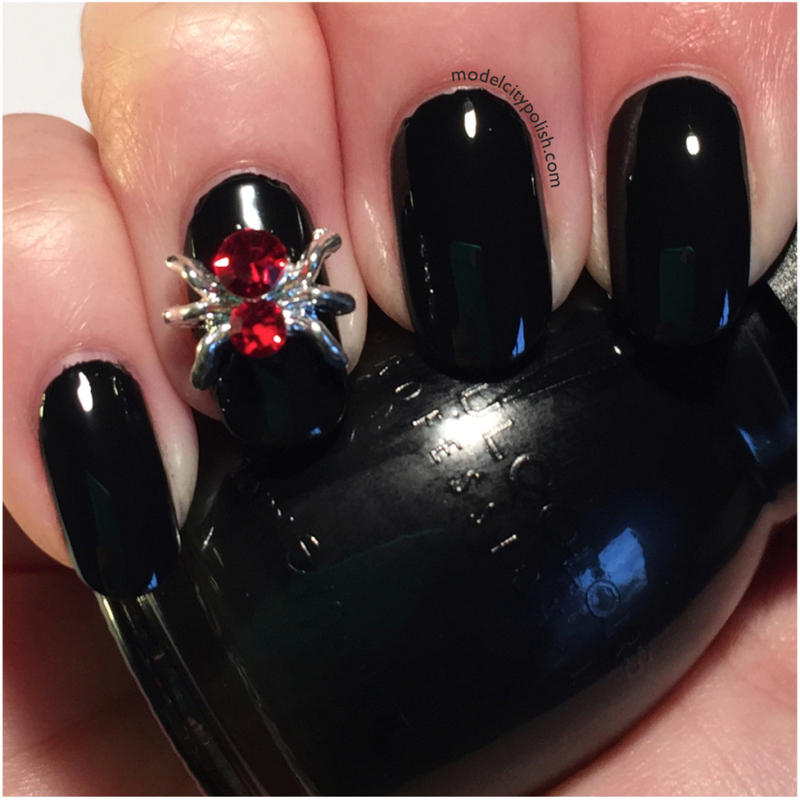 I used two coats of Sinful Colors Black on Black for my base coat and the perfect backdrop for this nail charm. 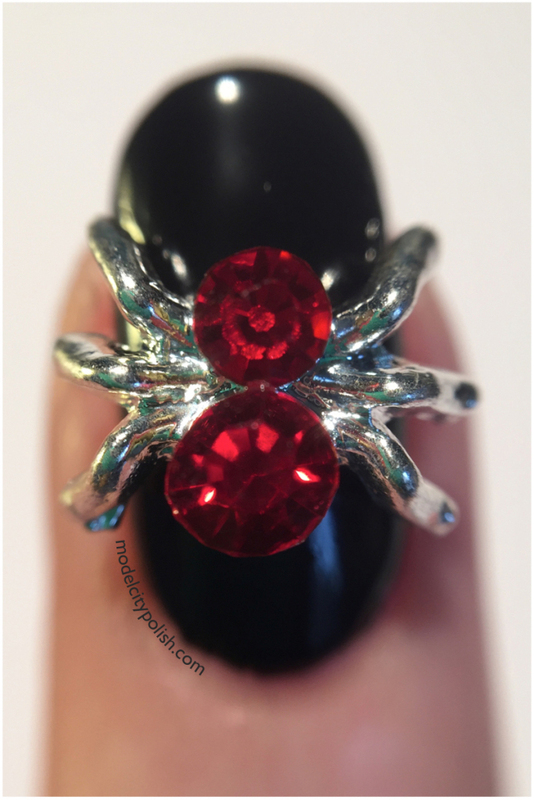 I then hand placed the Shiny Rhinestone Spider Charm with some nail art glue to hold it in place. The base of the spider is very large and flat, so getting plenty of glue on there to hold this guy was no issue what so ever. This guy is huge compared to my smaller hands! I will admit I kept checking to make sure he was there and had to be very cautious doing things. 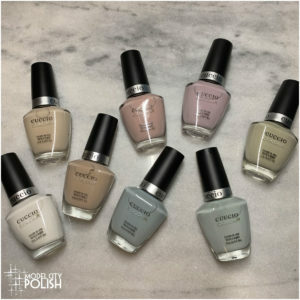 I would certainly not recommend wearing all day, only apply before you need to show off your mani. 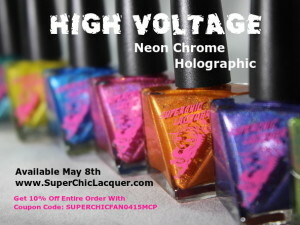 So what do you guys think of my nail bling? The spider is cute, even though he has only 6 legs, and certainly adds that extra pop. You can finds tons of goodies at Born Pretty and be sure to use code AEL91 for 10% off. Thank you so much for stopping by today and I look forward to seeing you all again tomorrow. 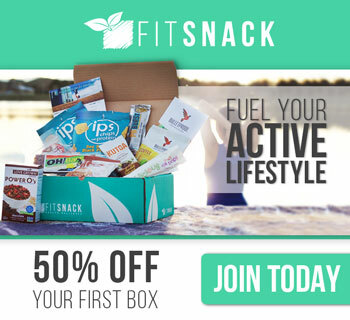 These products were sent to me for review but that does not influence my opinions. 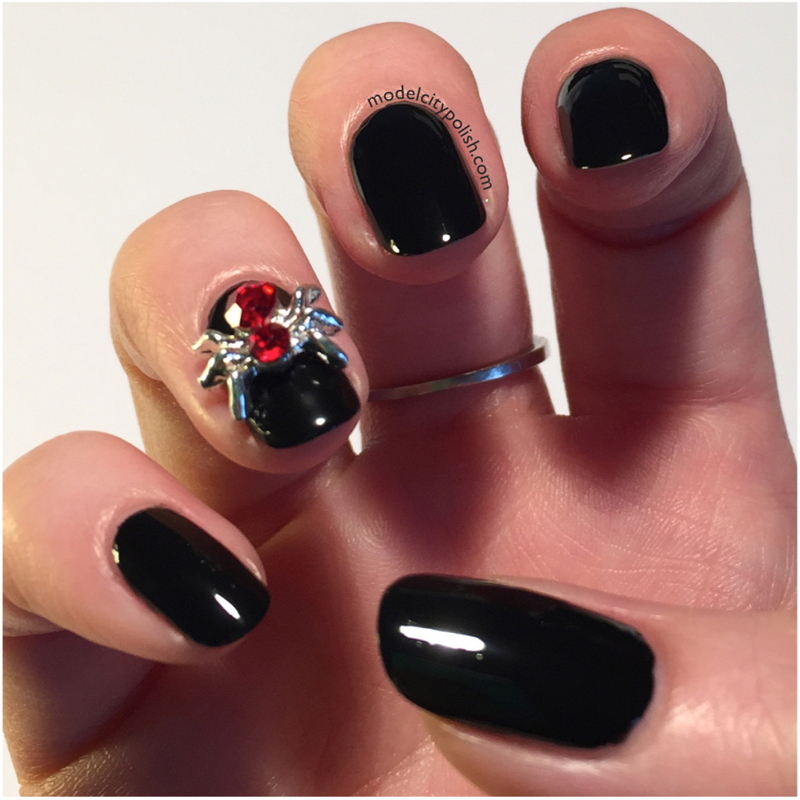 Nice idea Nina, this manicure didn’t need other additions as the spider does the magic!